These vegan chocolate covered strawberry cookies are soft, sweet, and loaded with strawberry + dark chocolate flavor! Healthy, gluten free, and fruit sweetened. These Chocolate Cookie Bars are to die for! A chocolate pudding mix makes them super soft and they are filled with chunks of chocolate throughout ensuring deliciousness in every bite. This recipe is super simple and one you are guaranteed to love! Spray a 9×13 pan with cooking spray. Have you had a Swig cookie or even heard of them? If you live in Utah, you probably have. They are pretty much the best sugar cookie known to man. People drive hours to get one! It is a soft and delicious cookie with a signature rough edge. Now you can make them at home and see why everyone loves them! These cookies remind me of my childhood. I love these! I was so happy when I found a great recipe for them. If you are craving chocolate, make these, you won't be disappointed! Carrot Cake Cookies are soft and chewy, flavorful carrot cake cookies made with a cake mix! Topped with a creamy cheesecake frosting, these carrot cake cookies are perfect for Easter! 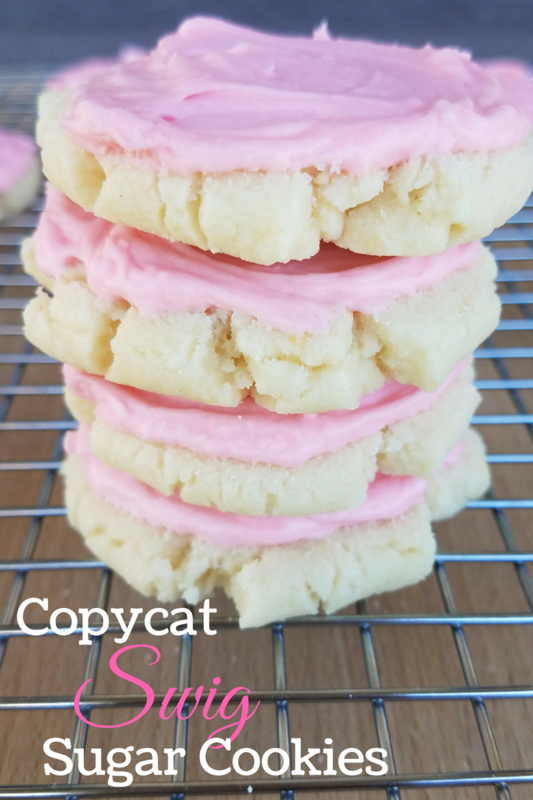 When you want a soft cookie, that is still sturdy enough for dunking, these soft and chewy sugar cookies are just what you need!